1And I saw a beast rising out of the sea, with ten horns and seven heads, with ten diadems on its horns and blasphemous names on its heads.2And the beast that I saw was like a leopard; its feet were like a bear's, and its mouth was like a lion's mouth. And to it the dragon gave his power and his throne and great authority. 11Then I saw another beast rising out of the earth. It had two horns like a lamb and it spoke like a dragon.12It exercises all the authority of the first beast in its presence, and makes the earth and its inhabitants worship the first beast, whose mortal wound was healed.13It performs great signs, even making fire come down from heaven to earth in front of people,14and by the signs that it is allowed to work in the presence of the beast it deceives those who dwell on earth, telling them to make an image for the beast that was wounded by the sword and yet lived.15And it was allowed to give breath to the image of the beast, so that the image of the beast might even speak and might cause those who would not worship the image of the beast to be slain.16Also it causes all, both small and great, both rich and poor, both free and slave, to be marked on the right hand or the forehead,17so that no one can buy or sell unless he has the mark, that is, the name of the beast or the number of its name.18This calls for wisdom: let the one who has understanding calculate the number of the beast, for it is the number of a man, and his number is 666. John sees a beast rising out of the sea, summoned by the dragon on the seashore (12:17). The sea was a place of chaos, danger, and evil for the Hebrews (cf. comment on 21:1). The vision draws on Daniel 7:3, where Daniel sees “four great beasts . . . out of the sea.” The beasts in Daniel represent great empires, and a great empire — almost certainly Rome — is in John’s mind as well. The kingdom rising out of the sea is not humane, civil, or supportive of its citizens. Instead, it is like a ravaging and ferocious beast, preying on its citizens. The beast described here is probably the fourth beast seen by Daniel (Dan. 7:7, 19, 23). The beast in Revelation has extraordinary power, for it has ten horns, with ten diadems (Rev. 17:12; cf. Dan. 7:20, 24)—symbols of ruling authority—on its horns. It has seven heads, also signifying its authority and power. The dragon had seven heads and ten horns (Rev. 12:3), and he clearly has given his authority to the beast. The beast with its horns and diadems parodies the Christ (cf. 5:6; 19:12), just as the dragon does. The seven heads bear blasphemous names, which are perhaps Roman claims to deity, such as “Lord,” “son of God,” and “Savior” (cf. also 17:3), revealing again the divine pretensions of the beast. The beast is not confined to the Roman Empire; it refers to Rome but applies also to every manifestation of evil in all governments throughout history, and also to the final conflict to come at the end. We must be willing to suffer, to give our all for Christ, to persevere until the end in order to obtain the final reward. The beast coming out of the sea is like a leopard, with feet like a bear’s and a mouth like a lion’s. In Daniel’s vision of the four beasts, the first (Babylon) was like a lion with eagles’ wings (Dan. 7:4), the second (Medio-Persia) was like a bear (Dan. 7:5), and the third (probably Greece) was like a leopard (Dan. 7:6). John sees these beasts consummated in Daniel’s fourth beast, which is the beast he describes here (probably Rome; cf. Dan. 7:7, 19, 23). This beast is not autonomous but derives its totalitarian rule from the dragon, and thus its governing authority is demonic (cf. 2 Thess. 2:8–9). One of the heads of the beast had a mortal wound, from which it recovered (cf. 17:8). Many understand this to refer to an individual, which is certainly possible. After Nero’s death in AD 68, a tradition arose that he would return (perhaps from Parthia) and rule again, and John might have had that tradition in mind. But if John wrote in the 90s, his most plausible date, it is quite unlikely this tradition would be in mind, since Nero was long gone. It is more probable, then, that the reference is to the empire as a whole. The deadly wound signifies the apparent demise of tyrannical rule. Rome’s dominion looks as if it has been dethroned and removed forever. And yet the empire is not destroyed; just when it seems that its tyranny has ended, its power is resumed. The so-called death-blow is ineffective. In response, the world is astonished with the beast and gives its allegiance to him, for the revival of a demonic empire is a kind of resurrection, and so once again the beast parodies the Christ. The staying power of the beast and its empire leads to worship of the dragon and the beast. The dragon is worshiped for giving authority to the beast. The beast is worshiped because of his so-called resurrection. He is considered incomparable and omnipotent, like God (cf. Ex. 15:11; Ps. 89:7). People worship the beast, believing he cannot be resisted or overcome. As has often been observed in history, people support a winner. Twice in this verse we are told what “was given” to the beast: a mouth to utter proud, blasphemous words, and authority for forty-two months. The clause “it was given” (edothē) appears four other times in this chapter (13:7 [2x], 14, 15). In the comment on 9:1, I defended the notion that God is the implied subject of this passive construction. Although the dragon actively gives (edōken; 13:2, 4) his authority to the beast, God reigns and rules over what the beast carries out, allowing or permitting the beast to exercise his authority. Even though God ordains what the beast does, he does not have the same motivations or intent as Satan. God’s judgment is his “strange” work (Isa. 28:21), and he calls on the wicked to repent and live (Ezek. 18:23, 32), while Satan rejoices when people are destroyed. The “secret things” belong to the Lord (Deut. 29:29), and hence we cannot fully chart or explicate the logical relationship between divine sovereignty and human responsibility. The beast is full of himself, uttering “haughty and blasphemous words” against God, just as Antiochus IV Epiphanes did in his day, functioning as a type of the coming beast (cf. Dan. 7:8, 20; 11:36). Such activity fits also with the “man of lawlessness,” who exalts himself as divine (2 Thess. 2:3–4). The beast is allowed to exercise his authority for forty-two months. Some understand this to be a literal three and one-half years before Jesus returns. But John is more likely describing the entire period between Jesus’ first and second coming (cf. comment on Rev. 11:2); John wrote not of days far removed from his readers but of the impact of the Roman Empire on them. All totalitarian governments arrogating to themselves divine authority reveal that they too are the beast. John focuses on the beast’s opposition to God, drawing especially on Daniel. As in verse 5, the beast’s self-exaltation expresses itself in his speech, which blasphemes God and his name. 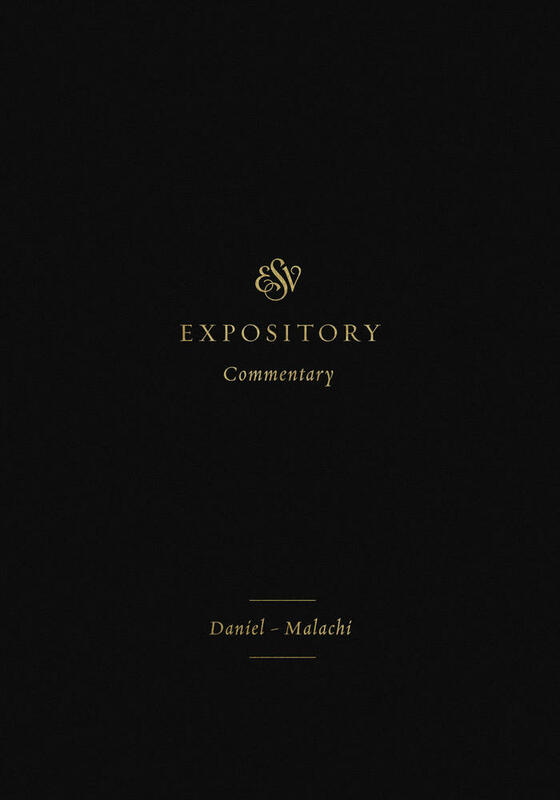 He follows the pattern of Antiochus IV Epiphanes, of whom Daniel 7:25 says, “He shall speak words against the Most High.” The prophecy of Daniel 11:36 is also fulfilled: “He shall exalt himself and magnify himself above every god, and shall speak astonishing things against the God of gods.” The beast also reviles God’s dwelling, those who dwell in heaven (cf. Rev. 12:12). This is likely a reference to the people of God (21:3), showing that their true home is in heaven. The actions of the beast here accord with Daniel 7:25, where the beast opposes God and his people. The beast, harboring divine pretensions, hates anything and anyone devoted to the one true and living God. Twice more we see what God has given (edothē) the beast. First, God has allowed him to make war on the saints and conquer them. This does not mean the saints surrender their faith (cf. comment on 11:7). It means God allows the beast to take their lives (cf. 2:13; 6:9–11; 16:6; 17:6; 18:24; 19:2; 20:4); this too follows the pattern found in Daniel, where Daniel says about Antiochus IV Epiphanes, “This horn made war with the saints and prevailed over them” (Dan. 7:21; cf. Dan. 7:25). God grants the desires of the beast for a period of time, so that the beast exercises authority over every tribe, tongue, people, and nation. We see here the reach of the imperial cult and the totalitarian nature of the beast’s rule. The beast’s authority and rule spark fear and admiration in those dwelling on earth, and they worship the beast. The verse reads as if everyone without exception worships the beast, but the phrase “all who dwell on earth” (pantes hoi katoikountes epi tēs gēs) is a technical term in Revelation for unbelievers (cf. comment on 3:10). Such an understanding is confirmed by the next clause, for the earth dwellers are those with names not inscribed in the book of life. The book of life contains the names of those who will not perish in the lake of fire (cf. Dan. 12:1; Phil. 4:3; Rev. 3:5; 17:8; 20:12, 15; 21:27; 22:19). Those who give their allegiance to the beast thereby demonstrate that they do not belong to the one true God. Most English translations refer to those “written before the foundation of the world in the book of life.” John makes a similar point in Revelation 17:8, where he refers to “the dwellers on earth whose names have not been written in the book of life from the foundation of the world.” The word order in 13:8 could suggest, alternatively, that John refers to “the Lamb slain from the foundation of the world” (cf. KJV, NIV). Word order is not determinative, and, given the parallels, John probably speaks of those who were inscribed in the book of life before history began. After all, the death of Christ was predetermined before history began, but it is quite another thing to say he was actually slain before the world began, for the Lamb was slain in history, not before the world began. On the other hand, God decided before history began who would be inscribed in the book of life. John reverts to the formula used in all seven letters (Rev. 2:7, 11, 17, 29; 3:6, 13, 22). Those who have ears should open their ears and heed what is being said. People are told in advance about the authority of the beast and his persecution and slaying of Christians. They are informed that unbelievers will give to the beast their worship and their adoration. Hence, believers must ready themselves. Some are destined for captivity, and to captivity they will go. Others are destined to be killed by the sword, and so it will be (cf. Jer. 15:2; 43:11). Such events do not mean God has abandoned or forgotten about them; the power of the beast does not suggest God’s sovereign rule over the world has been surrendered, for the beast exercises authority only by God’s will. Hence, believers are called upon to persevere and remain faithful to their Lord. They must remain loyal despite the persecution and difficulties at hand. The next paragraph (13:11–18) commences with John seeing another beast, coming up from the earth. This other beast is elsewhere identified as the “false prophet” (16:13; 19:20; 20:10). The second beast, then, claims to speak for God and thus represents religious authority contrary to God’s Word and ways. If the first beast is the Roman Empire, the second beast is probably the imperial priesthood. The deceitfulness of the second beast is apparent—he has two horns like a Lamb, thus presenting himself as being in accord with the Lamb, but he actually speaks like the dragon, revealing his message to be demonic. Jesus himself warned that false prophets would come “in sheep’s clothing” while in fact being “ravenous wolves” (Matt. 7:15). The second beast is the third member of the unholy trinity, functioning like an unholy Spirit. He exercises the authority of the first beast in his presence, compelling the inhabitants of the earth (all unbelievers) to worship the beast. Unbelievers are happy to comply, for the beast appeared to have divine powers, recovering from a seemingly mortal wound. The beast, in other words, had its own version of the resurrection—just when totalitarian rule appeared to be squelched, it rose from the ashes to reign again. The plausibility of the second beast is augmented by its miraculous power (cf. 16:14). In other words, false religion seems to be verified empirically. Just as Elijah could bring fire down from heaven (1 Kings 18:38), so false religion here is allegedly confirmed by signs and wonders. Both Jesus (Matt. 24:24) and Paul (2 Thess. 2:9) taught that miracles would be accomplished by false christs and prophets. Such miracles test believers, ascertaining their devotion to the Lord (Deut. 13:1–3). The signs deceive the earth dwellers (unbelievers; cf. comment on 3:10), convincing them that the beast is worthy of worship and praise. Hence, the inhabitants of the earth make an image of the beast. Images were crafted for the sake of worship, and John reminds us again that the beast is worshiped because it seemed to be dead but sprung to life again. “Image” does not mean a literal image of the beast is made but is John’s apocalyptic and symbolic way of saying the beast is worshiped. “Lived” (ezēsen) is used elsewhere of the resurrection of Christ (Rom. 14:9; Rev. 2:8) and the plural “They came to life” (ezēsan) refers elsewhere to the spiritual or physical resurrection of believers (20:4–5). Unbelievers worship the beast because of its resurrection power, because the empire seems dead but keeps springing back to life. The beast, then, is a parody and counterfeit of Christ. 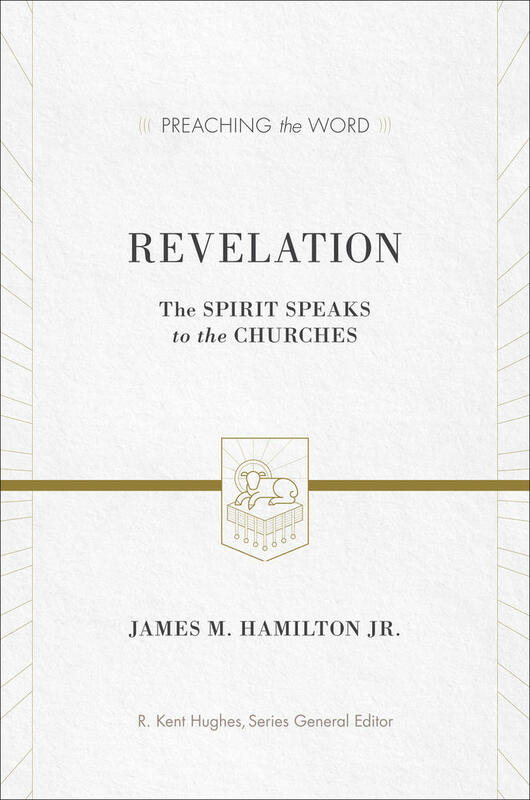 We see again that the second beast functions like the Holy Spirit. Just as the Spirit came to glorify Jesus (John 16:14) and anoint him with power (Luke 4:18–21), so the second beast honors and empowers the first. When John describes it granting life to the image of the beast, we should not envisage an image literally coming to life. Instead, the point is the second beast’s empowering and supporting the first beast in its endeavors. The speech of the first beast seems supernatural, inspired, authoritative, compelling; he speaks in oracles. But this is not a matter merely of persuasion. Coercion is a staple of the second beast’s “ministry,” and those who refuse to worship the first beast are put to death. Similarly, Pliny writes to the emperor Trajan (AD 98–117) about what to do with Christians: he ought not punish them if they sacrifice to the gods (Epistulae 10.96.5 LCL), but if they refuse, they are to be put to death. Such absolute allegiance was demanded also by Nebuchadnezzar (Dan. 3:5–6). Those who bow before the beast reveal they do not belong to the one true God (cf. Rev. 14:9–11; 16:2; 19:20; 20:4). 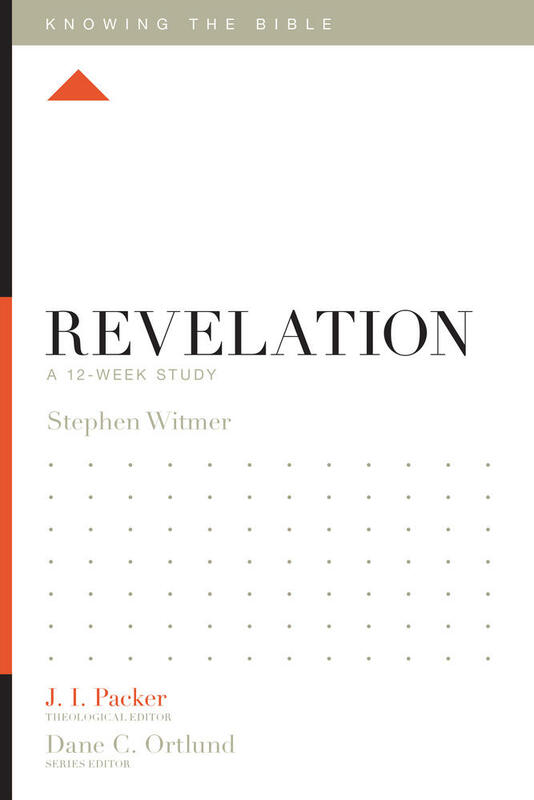 Six experienced Bible teachers walk through some of the richest but more challenging books of the New Testament, helping Bible readers understand what they say about Christians’ hope for the future. The second beast also enforces the power of the first through economic discrimination. No one, no matter his social class or influence, will be able to buy or sell unless he has a mark upon the forehead or hand to signify devotion to the beast. The number signifies the name of the beast (cf. 14:11; 15:2). Many interpreters take this literally, as if a literal mark will be imprinted in some fashion on foreheads and hands, but the language is likely symbolic. Just as the seal on the foreheads of the 144,000 (7:3) is not literal, neither should this mark be understood literally. In any case, the two beasts conspire to exclude believers from the marketplace. John closes this section with a statement that has fascinated and puzzled interpreters throughout history. He summons the readers to be wise so that they can calculate the number of the beast. We are told the number is the number of a man: 666. Some manuscripts read 616, but the best reading is 666. If the number refers to a particular individual, the best guess is Nero. If “Nero Caesar” is transliterated from Greek to Hebrew, the letters calculate to 666, though it is doubtful the original audience would have understood this complex solution. 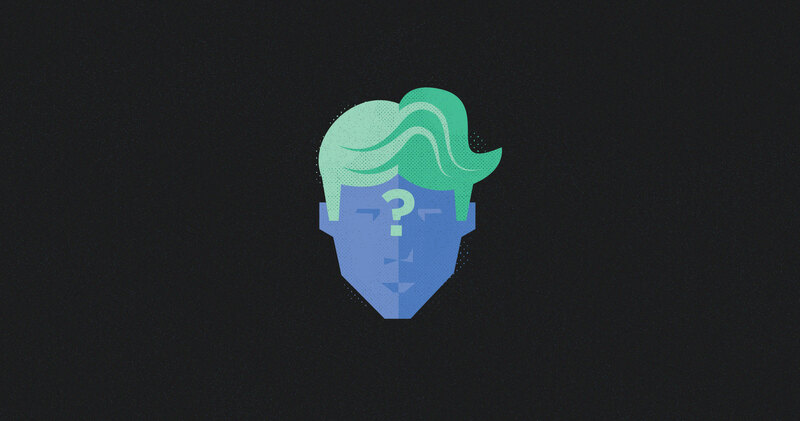 Many wild speculations about the identity of the person have been promoted throughout history, and every guess has so far been wrong. The advantage of seeing a reference to Nero is that he fits the time period in which John wrote, at which time there was speculation and fear that Nero would return from Parthia after his death. Still, seeing a reference to Nero isn’t easy or obvious, for one must transliterate from Greek to Hebrew to get the number 666, which seems like a stretch for the audience. Also, as noted earlier, if Revelation was written in the 90s, fear of Nero’s return would have lessened considerably by that time. Perhaps it is better to move in a different direction. The number 777 represents perfection, but John says 666 is the number of a man. The number 666, then, represents what is anti-god and antichrist, all that is in opposition to the one true God. If 777 represents holiness and perfect goodness, then 666 signifies the enormity and totality of evil. Hence, John does not intend to point to any particular individual here. Rather, the kingdom of the beast is a human kingdom, an evil kingdom, instead of a divine one. The nature of humanity apart from God is demonic. The kingdom of the beast promises life and prosperity but brings death, misery, and devastation. 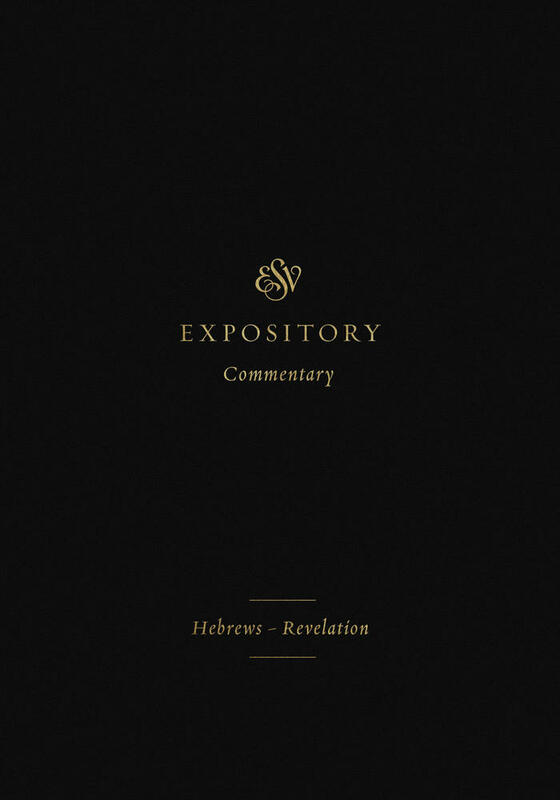 This article is adapted from ESV Expository Commentary: Hebrews–Revelation: Volume 12 edited by Iain M. Duguid, James M. Hamilton Jr, and Jay Sklar.